his pace and acceleration, amazing dribbling and crossing ability. Joaquin Sanchez Rodriguez, simply known as Joaquin is a Spanish professional football player who plays for Real Betis in a right winger position. Joaquin mostly spent his football career playing for Real Betis and Valencia. He also played for Malaga for 2 seasons and for Seria A club Fiorentina for 2 seasons. Joaquin has earned 51 caps representing Spanish National Team in two FIFA World Cups and one European Championship as well. Joaquin scored only a goal for Real Betis in a long-awaited home win over Sevilla day before yesterday. Joaquin came off the bench as a substitute for William Carvalho in the 75th minute and scored a stunning header in the 80th minute against 10 men Sevilla. Real Betis finally achieved a historical victory over local rivals Sevilla. His amazing dribbling and crossing ability. Joaquin was born on July 21, 1981, in El Puerto de Santa Maria, a province of Cadiz, Spain. Joaquin grew up in a big family. He has eight brothers and sisters in total, Joaquin was the third child. His elder brother Lucas played for Cadiz CF, while his another brother Ricardo played in Betis' youth ranks. In his childhood, Joaquin was breastfed until the age of 7 because he wanted to be a bullfighter when he grows up. Joaquin's uncle El Chino helped him to develop his talent and skills. His uncle used to afford the daily round trip to play for Betis's youths between Cadiz and Seville. After his uncle's death, Joaquin always dedicated most of his achievements to him to remember his as his mentor. Joaquin started his senior career in 1999-2000 from Real Betis B. Earlier, Joaquin played for Betis youth ranks for 5 years. Joaquin moved to the first team in following season and made his professional debut on August 26, 2000. Joaquin played a vital role during 2004-05 Copa del Rey title victory campaign. Joaquin announced his intentions to leave Betis in July 2006. Joaquin officially transferred to Valencia in late August 2006 for 25 million Euro. Joaquin helped Valencia to qualify for 2012-13 Champions League campaign. 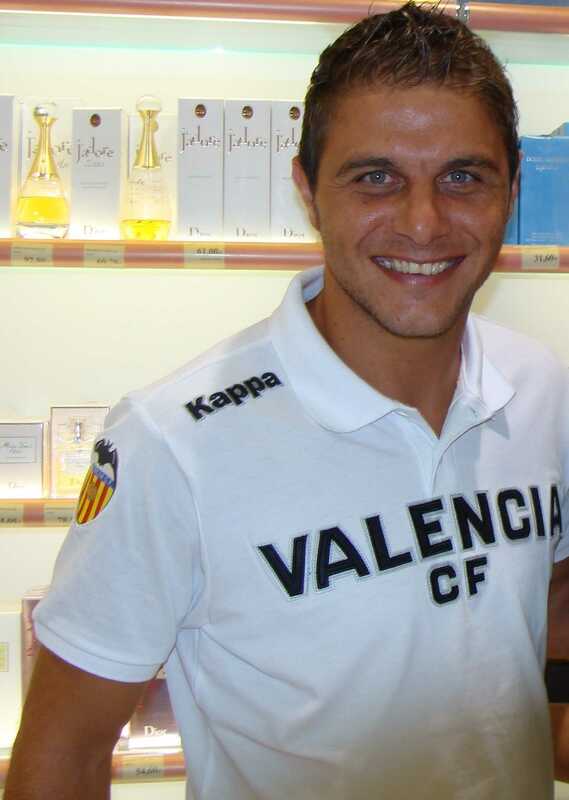 Joaquin left Valencia and signed for Malaga on June 24, 2011. Having played for 2 seasons at Malaga, Joaquin transferred to Seria A club Fiorentina on June 13, 2013. And Joaquin finally returned back to his first club Real Betis on August 31, 2015. Joaquin made his international debut for Spanish national team on February 13, 2002, in a 1-1 friendly match against Cristiano Ronaldo's Portugal. Joaquin was a part of Spanish national team for 2002 FIFA World Cup, UEFA Euro 2004, 2006 FIFA World Cup. Joaquin tied a knot with Susana on July 8, 2005. Joaquin had just won the domestic cup with Betis before marriage. And the trophy they won was presented at the wedding ceremony as a distinguished witness. Also, the entire Betis squad attended his wedding. The Net worth of Joaquin isn't published yet. But it is reported that Joaquinn's net worth is estimated to be $4 million. During his football career, he played for Real Betis, Valencia, Malaga, Fiorentina and returned back to Real Betis, from where he started his professional career. Joaquin has won two Copa del Reys with Real Betis and Valencia in 2004-05 and 2007-08 respectively. Joaquin's Fiorentina finished runner-up in Coppa Italia 2013-14. Joaquin always dedicates his goal to his uncle, El Chino.